Nothing like a national press night at one of my favourite local theatres to start a new year of theatrical blogging. 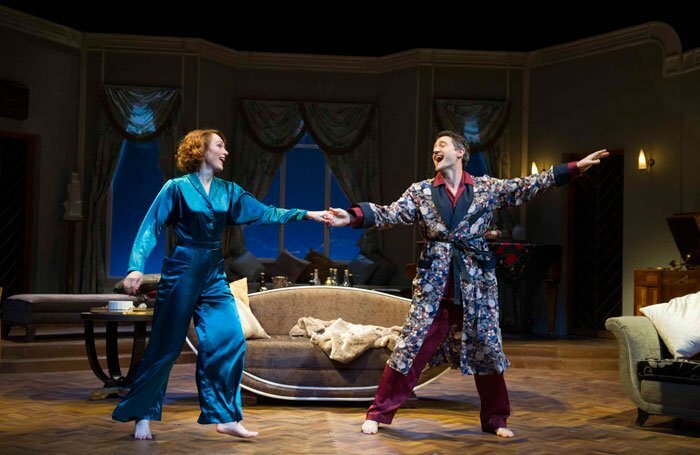 Private Lives, starring Strictly star Tom Chambers and the gorgeous Laura Rogers, opened with style at the Churchill Theatre, Bromley under the direction of Tom Attenborough. Noel Coward’s play follows two divorcees who are unfortunately thrust back together while honeymooning with their new loves, with surprising yet disastrous consequences. What is billed as ‘one of the greatest plays of all time’ is probably not quite that – the script is witty enough but the plot lacks substance. Despite this the small but talented cast step up to plate making the evening enjoyable, despite the passable story. Tom Chambers plays a cool, haughty Elyot Chase and capers around the stage with confidence, as well as giving quite a convincing performance on the piano. 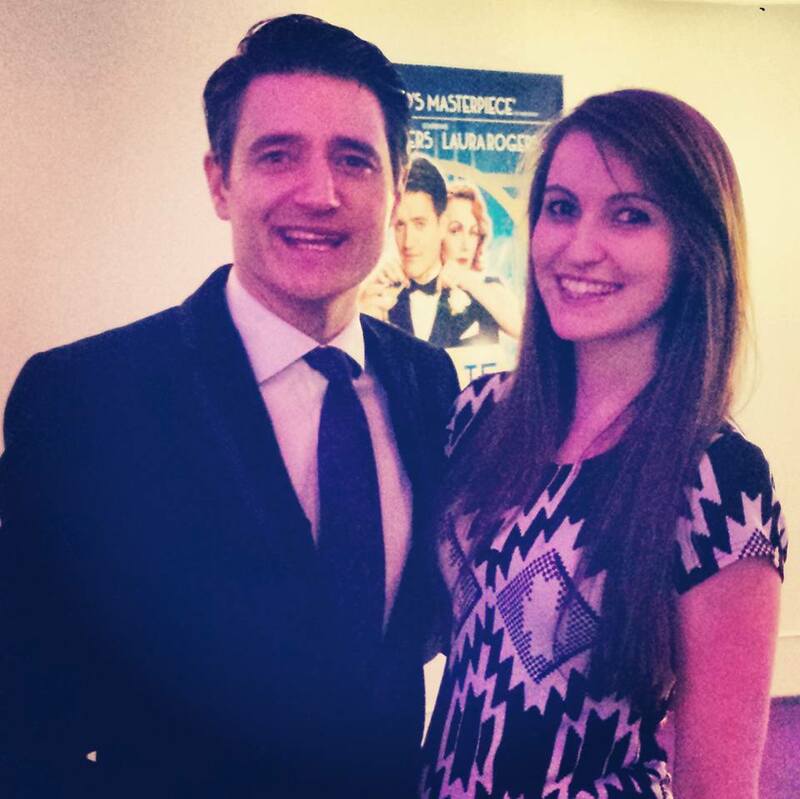 I was lucky enough to meet him after the show and it was refreshing to see an actor so concerned with his performance and the meaning behind his character’s actions. He was also very complimentary of us bloggers! He is slightly shadowed by Laura Rogers’ supremely poised portrayal of Amanda Prynne. She delivers lines with casual but seductive venom and is easily the most comedic of the cast. The pair are quite compelling, with their pacy rows giving quite the masterclass in ‘behind closed doors’ affinity. Call the Midwife’s Charlotte Richie can assuredly play both the sweet, young wife and the enraged spouse. Richard Teverson as Victor Prynne, although perfectly able gets a little lost next to the other three, though I might blame this on the character who only comes into his own in his raging row at the very end of the play. There was a small blip with the set change, which could have called for the play to be split into its original three acts rather than two, and the balcony set also seemed a little flimsy. It was decorated with gorgeous art deco flair and then brilliantly devastated by Chambers and Rogers in their blazing, physical squabble. This small team deliver a droll performance with ideally understated comedy. Not hilarious but enjoyable all the same, although not one of Noel Coward’s finest masterpieces. Private Lives is at the Churchill Theatre, Bromley until Saturday 23rd January, then continues to tour the UK throughout 2016. Tickets available online with ATG.